I received both of mine today. At first I thought they both didn’t work but I had to really screw the tailcap on hard!! I like the modes, the brightness is awesome, but I don’t like the switch. It is too small and recessed to easily access. Also, I pulled the lens off and am considering frosting it. I tried with scotch tape quick but couldnt get it to apply as nicely as I wanted. I also want to find someone to swap a NW emitter into it for me Anyone capable? It is easy to get the bezel ring, lens and reflector out, but my skills aren’t up to the task of swapping the NW emitter. 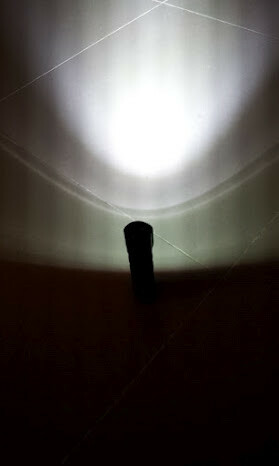 Have uploaded some beamshots. Not really pro at doing it. However, noticed that there is PWM in all brightness modes. Un noticable to the eye. 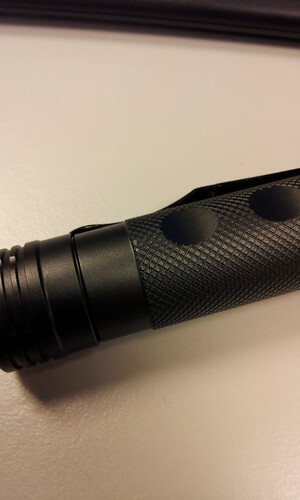 The bottom cap of the H6 could be extended to cater for longer cells. I am using Sanyo 2600 unprotected as there are no issues with it. Unscrew the bottom cap and remove the copper plate / springs. Using a 10mm diameter washer or small coin and place it at the bottom. Screw the retention ring and copper plate back. The circuitry is connected only on the unadonized bottom of the H6. Does this thing have a large or intense hotspot? 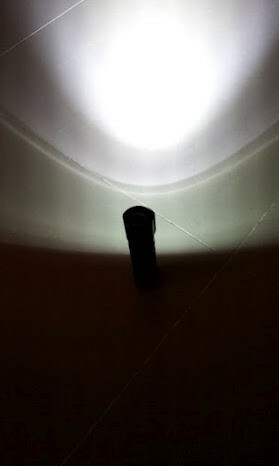 I has a small smooth reflector. But the result seems like an OP. It has hot spot. relative large with good spill. Tube is pretty tight, HiMax dont fit and so I guess XTAR wont fit either. Are they too thick or too long? What are their measurements? And what measurement battery you need to use this lamp? I’m thinking about ordering this and some battery if I just would know one that fits. Too thick. HiMax are about 18.84mm in diameter and the tube is about 18.7mm. I think edc mentioned that long cells wont work either. I guess TF3000 work, if you can find decent ones. Or other rather small cells. Flat top work, as well as button top. So maybe the new Solarforce V3 will fit. Or clear wrapper Sanyo cells (MarsFire) and so on.. Problem with HiMax is that they have a clear wrapper over the white wrapper. You could remove it, but the white wrapper is a little brittle.. so I wont do that. Would 18.2 mm cells work? 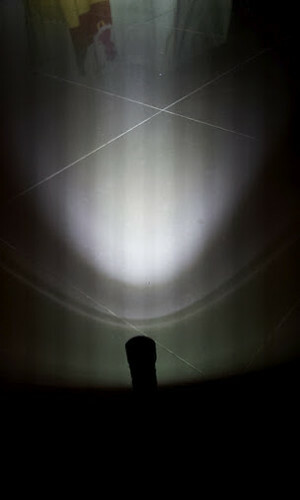 Can someone take out the reflector and post a beamshot please? 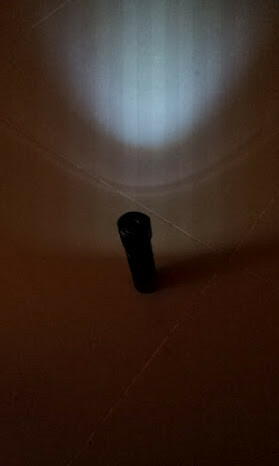 I haven´t had problems with the diameter, but flat top cells doesn’t like this light. 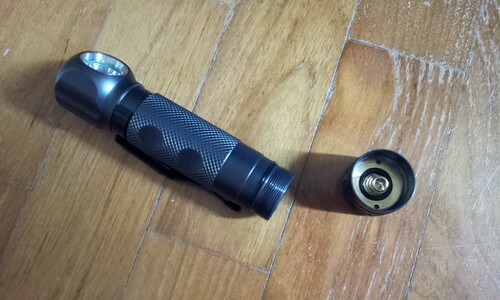 I jus figured out the problem with the lenght of some batteries, is the retaining ring does not hit the end of the tube of the flashlight, I added just to try a little bit of aluminium foil and now it works with all my batteries, even the flat tops, where the problem was really with the length not the flat top. So, I understand the best solution would be to leave a round lip on the exterior of the retaining ring by taking away a few material of it, or just doing the aluminium foil trick for longer batteries. It is a pity having to do this, as I like it a lot in general, but for this. Is it possible to remove the reflector Yavi? I would not try, it looks like I will scratch the bezel trying it, the bezel doesn’t have any protrufing part where you could force it, nevertheless I am not that good at it. Well, if so, anyone else waiting for the reflectorless version of this? Basically the u3 with an xml? It probably can be dissembled. Whenever I find a light that has bezel I can't get off I wrap the whole thing in electrical tape and then stick it in a clamp. Then grab the other end with a handheld clamp and twist. With this method you can unscrew almost anything. I used this on my G2X which is glued and it worked really well. Oh, I was just worried it was press fitted, or all one part, or just something wierd. Good technique to know Scaru! Do you think that i’ll get a hotspot if I do remove the reflector, like just from the light reflecting off the sides of the head where the reflector used to be in front of? From my experience it won't have a hotspot unless you're white wall hunting. I'll see if I can get a picture to capture it. That’d be fantastic if you could! All you need to do is remove the ring and add something 3 or 4 mm thick and long batteries will work. A 2032 battery will work but wrap it in tape. A 20mm magnet would be ideal. Do you mean removing the ring and not using it again? 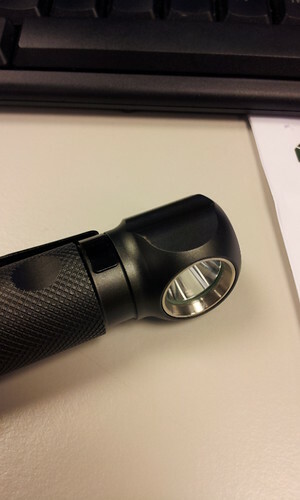 While the ring is there, with long batteries, the ring itself does not hit the not anodized part of the flashlight tube, so there is no contact. powerfull, so it can stay upside down, but not fixed to a vertical surface, I will try with a better one I’ve got here. Could you say, it is better than in previous, the AA-model? Ok. So I’m thinking about buying EagleTac 2500 mAh, these are 68,2 mm x 18,3 mm. These are not too long aren’t they? Thickness should be good if the tube is 18,7 mm. I didn’t measure mine, but my Hi max did fit with no problem, I believe there are more probabilities some hi max are thicker than others than different tubes on the flaslights. remove the ring/ spring etc and put something in the bottom of the tailcap and then replace the spring and retaining ring. The magnet from the ufh3 fits and works well. I’ll see what can I do edc, I tried yesterday with a thicker magnet, using it, the light can be placed on any direction with no problem the only con is with the existing ring etc, there are not enought threads left on the tail cap to screw it. the PWM isnt that bad at all. overall. It is a nice light for the price. 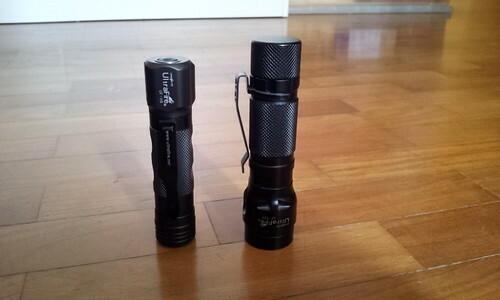 Comparing to H600 Zebralight. 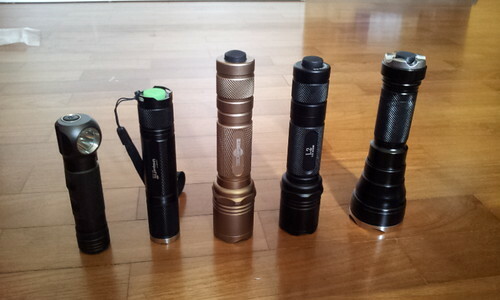 I believe Zebralight is of cos better. The switch is really recessed. It is a small electronic switch.